You are our primary source of fuel, our life giver and without this precious fuel we are thrown into chaos, impending oblivion on the horizon. You signed an unwritten contract to supply us with potent and delicious fuel until we decide to the contrary. It is our decision. It is not yours. We know what we do to you, the repeated push and pull, the games, the abuse and whilst we rely on our significant powers of manipulation and your near indefatigable desire to heal, hang in there and make things work, there is always that slight doubt that perhaps this time we have gone too far? There is an iota of concern that this is the occasion where you put the pieces together and realise what you are dealing with and therefore you decide to escape us. Leaving us when we have not ensured your replacement is in place or that he or she is working to maximum efficiency places us in peril. If you leave our fuel supply has been fractured, maybe even cut off. If you leave you have wrested control away from us and this is not something that can ever countenance. If you leave you are telling us that we are not the superior being we maintain that we are, you are pouring scorn on our might and undermining our magnificence. There are those for whom the spotlight of attention causes them to flush with embarrassment, that searing heat which makes them feel uncomfortable. That is not the case for us. Its light brings us warmth and power. We need the spotlight like plants need the sun. We bask in its brilliant blazing light and revel in the attention that comes with it as we drink deep of the fuel that is provided. Should you ever move that spotlight away from us, the icy chill of the cruel and desolate world we have been placed in becomes all too real and this wounds us. The removal of the light of attention criticises us and strikes at our core. All eyes should be directed on us, ears should be pinned back in appreciative listening of our oratory, attention should be focused on us. It is about us, not you. Whether it is just you or I, a group of friends in a bar,a family gathering or in a meeting, everyone should know that we are there and they should be reacting to our presence. We do not care how that reaction comes so long as it is laden with emotion. If you ignore us you are telling us that we are worthless and that takes us to a place that we have consigned in the depths of our minds. Never ignore us, we cannot stand for that to happen. 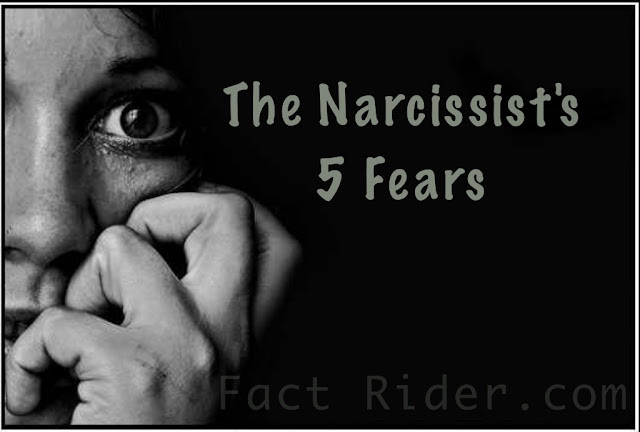 Whether it is the unmasking of me as a narcissist or the revelation of my abusive machinations when you do not know fully what you have become entangled with, the fear of exposure lurks within us. Of course we will react and fight against it, of course we will deny, deflect and withdraw from your treacherous behaviour in telling the world what we are. We will paint you as a liar, a crazy person and a fantasist even though, for those of us who are aware enough, the words you issue are arrows of truth that rain down upon us tearing and wounding. Whether it is exposure in terms of you, as a primary source, telling us what we are or the wider unmasking to our carefully constructed façade, we fear this happening because it hurts us, it burns and it wounds. We will fight back, we will seek our retribution against you for this most heinous act but this requires precious energy which we would much rather use in a more productive way. In the worst of cases, your revelations force us to new hunting grounds which means we must re-build our twisted empire afresh. It will rise again but we would rather not endure the agony that this entails or the effort required. I come as a god to walk this earth, a colossus astride this planet, leading and forging ahead as my massed ranks of admirers watch on in awe and wonder. I am omnipotent, immortal and unstoppable, my power endless as I seduce, abuse and recycle. There is so much fuel to drink up and I will never stop. Yet, occasionally that scintilla of concern manifests. What if I were to lose my powers? What if the ability to seduce started to wane? What if I lost the appetite to abuse and slay? What if I said the unsayable and admitted that I am tired of this endless routine? What if I no longer had the hunger or desire to stalk my hunting grounds and wanted an end? What if I wanted to remove my demagogue’s crown and vacate the throne, my appetite diminished and senses dulled? What would I do then? I soon shake off these terrible considerations but they remain in the shadows, occasionally calling to me. I dispel them as quickly as the manifest but still they come every once in a while. What if as a consequence of all the above I can no longer keep the craven creature within the prison that I have constructed for it? What if one day it is able to breach the walls and emerge from the depths of is incarceration so that it surfaces, hissing and tormenting me, its once whispered threats becoming a reality. What if it takes me to the edge of the abyss and forces me to look into the great void, oblivion just a step away, the howling winds of desolation whipping around me. Sometimes and it is a rare occurrence, but when all is still and dark this thought forms in my vast mind, this awful, terrible thought as I feel the craven creature’s clawed hand against my back, ready to shove me over the edge……..